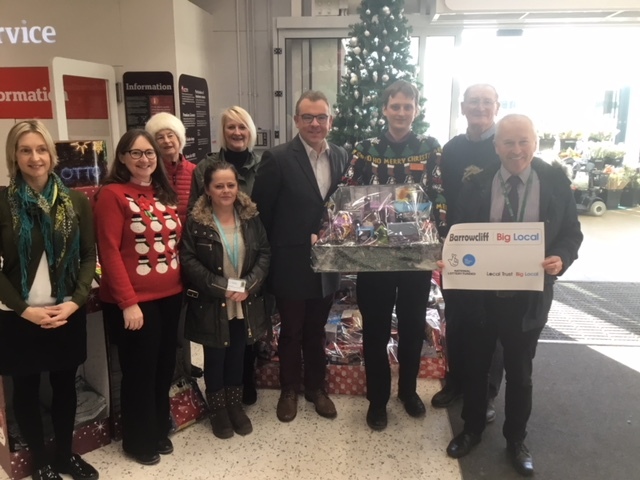 For the second year running, Barrowcliff Big Local Partnership was pleased to run the BIG Christmas Prize Draw in 2018, giving away a whopping 19 Christmas hampers to local families. The lucky winners were announced at the Partnership's December meeting, which was broadcast live on Facebook. This year the hampers were kindly sponsored by Sainsbury's, Horizons Therapy, Beyond Housing, Sanctuary Housing and, of course, Big Local. The Chair and Vice Chair of the Partnership delivered hampers to the winners just before Christmas. The project helps to create positive awareness of the Big Local programme whilst bringing joy to local residents.